In today’s rumor rundown, many NHL insiders think the Pittsburgh Penguins are still contemplating moves, the Colorado Avalanche are realizing they have an important decision coming with their top-scoring forward and the Maple Leafs have set the asking price for William Nylander. Penguins Just Getting Started With Moves? 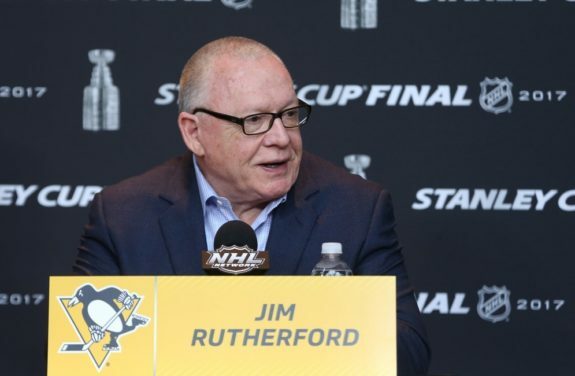 Via Pens Inside Scoop, it was reported that Pittsburgh Penguins GM Jim Rutherford said after he made the trade to acquire Tanner Pearson, “We felt that we needed to make some changes. This could be the start of more changes or we’ll see how this goes for a little bit. Way things have gone for first part of the season it’s obvious we had to change something up.” This has led people to believe that Rutherford has his eyes on more moves and might not think Pearson solves all of their current issues. So too, Elliotte Friedman on Sportsnet’s Tim and Sid said that he doesn’t believe the Pittsburgh Penguins are done and that Rutherford has a couple other potential deals on the go. Friedman believes the Penguins have something cooking with Anaheim and it didn’t include Carl Hagelin so whatever deal that is, it might still be on the table. He also hinted that it could be a bigger trade because the names rumored to be coming back from Anaheim would require Pittsburgh give up a more significant piece off their roster. Adrian Dater of bsndenver.com tweeted that he believes that Mikko Rantanen will only sign a bridge deal with the Colorado Avalanche after the season. Rantanen has been on fire this season and is playing his way towards a very expensive extension. Dater thinks the Avs have every intention of keeping him long-term but that a short-term deal is the most likely thing to come before an eight-year extension at big money. So far, Rantanen has 29 points in 18 games for the Avs and if he continues to roll along, he’ll have two strong seasons, one with 84 points and one with potentially over 100 points. But, is he a 100 point player? That’s the question the Avs don’t know how to answer yet. Some compared the statement to saying, well hey, Draisaitl is an 80-point player so trade McDavid or that Evgeni Malkin makes Sidney Crosby expendable and those comments are fair. It’s unlikely the Maple Leafs would ever consider moving Matthews unless he initiated that process. The more likely situation is that Nylander is traded before December 1, 2018. * Authors Note: Something would have to go very wrong in Toronto before the Maple Leafs would ever consider keeping Nylander over Matthews and Cox is barking up the wrong tree here. It’s important to remember, this is the first season where Tavares is projected to score 50 goals in an NHL season over his career. He’s never scored 40 before. John Hoven tweeted that Maple Leaf games have been a busy place for scouts of late and that representatives from teams like the San Jose Sharks, Minnesota Wild, Edmonton Oilers (Craig MacTavish), Buffalo Sabres, St. Louis Blues, and the Columbus Blue Jackets have all been to recent games. Darren Dreger has reported on Insider Trading that the Toronto Maple Leafs asking price is high. He said with the amount of interest, “the ask is going to likely include two pieces off the roster. My sources indicate it could be a top-four defenceman along with a top-nine forward.” Dreger added the Maple Leafs believe they will contend for the Stanley Cup and that they need pieces to help them do so. 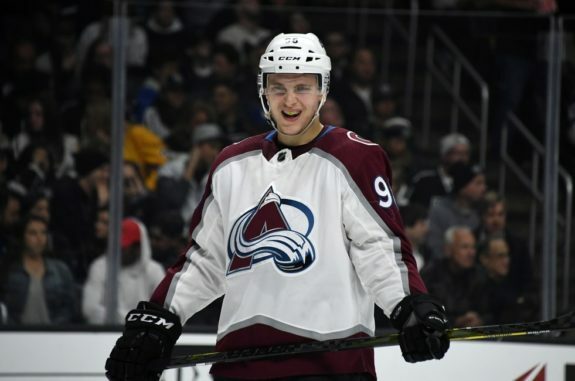 Elliotte Friedman also noted the recent decline in the ice time of Colorado Avalanche defenseman Nikita Zadorov might mean keeping an eye on him as the season moves along. Zadorov’s name hasn’t come up in trade rumors yet but if his ice time stays an issue, it might.